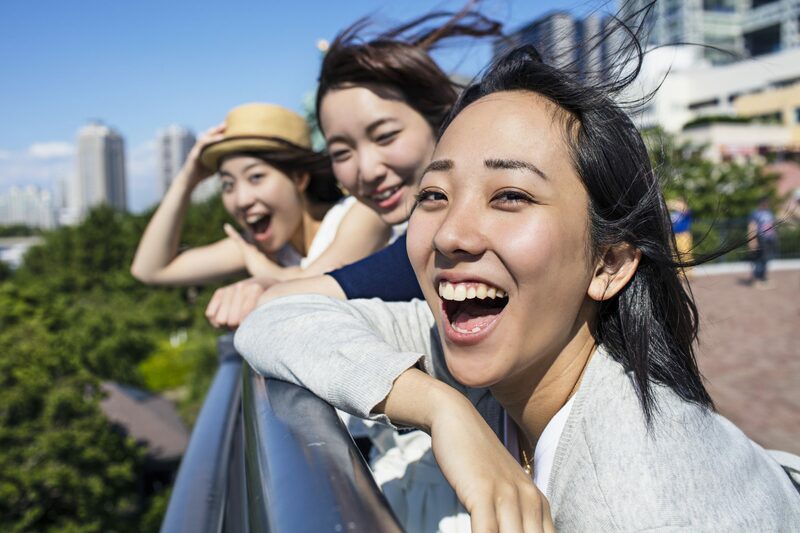 While global growth of youth travel seems certain, one factor remains critical for attracting Millennial and Z travellers to your destination – and it’s not avocado toast or free wifi. 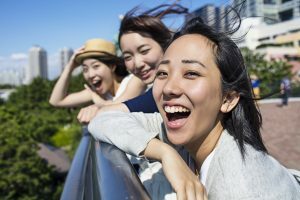 According to the New Horizons IV survey of more than 57,000 young travellers globally, the most important motivations to travel relate to desires to experience destinations and their cultures and increase (self) knowledge. More traditional holiday motivations, such as relaxing, are less important to young travellers. WYSE Travel Confederation has observed that the top five destinations for young travellers have remained fairly consistent since 2007, with two interesting exceptions: the USA and Australia. The USA has been the top destination visited by young travellers since 2007 and remains so today, however, its share shrunk considerably in 2017 when compared to 2012, dipping down close to its 2007 proportion. 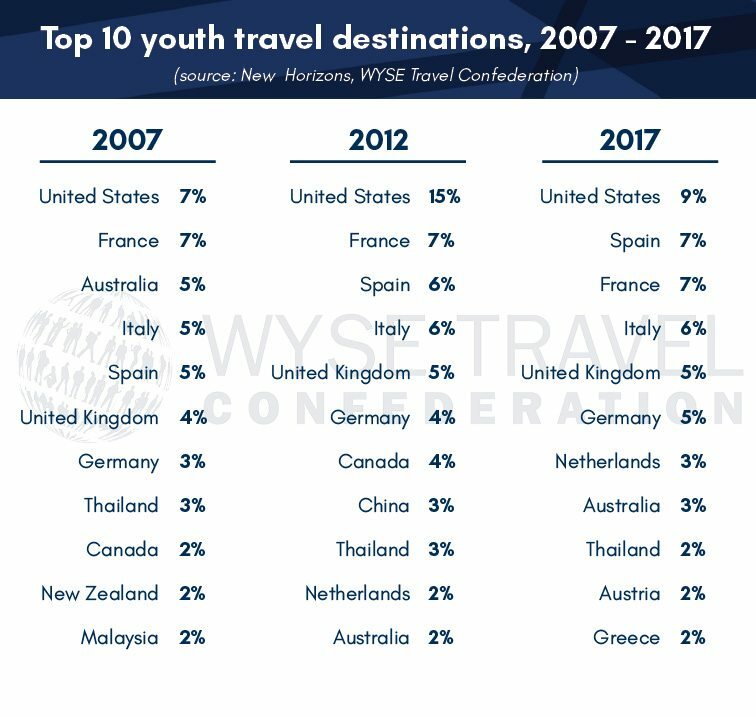 Back in 2007 Australia featured in the top three destinations visited by young travellers, but by 2012 was not even registering within the top ten youth destination. In 2017, it re-entered the top ten list, in front of only Thailand and Austria. Conducted once every five years, New Horizons provides an overview of the youth travel market, which WYSE Travel Confederation and UNWTO have estimated to account for 23% of international arrivals annually. Key findings will be presented by WYSE Travel Confederation at ITB Berlin 2018. Did you know our members have the exclusive opportunity to raise their profile within the youth travel market at ITB Berlin? Contact us to join as a co-exhibitor in the Youth Travel Hall 4.1 or as a WYSE Workshop speaker.